AARSLEFF Sp. z o.o. is part of the international concern Per Aarsleff based in Denmark. Our company has been present in the Polish market from 1996 and employs over 200 people. AARSLEFF’s primary business activity is design and execution of special geotechnical and hydrotechnical works, remaining the leading company is this area. With the advantage of the world-wide experience and potential of all the companies from Per Aarsleff Group, we are the unquestionable leader of the Polish driven precast reinforced concrete pile market. We have modern machines and our own concrete pile plant in the very centre of Poland, which enables us to efficiently implement projects of various scope and location. AARSLEFF operates through a network of Regional Sales Offices, well-organized Construction Division and own specialist Design Office. We have always been actively involved in various wind projects, having installed over 7,000 foundations for wind turbines all over Poland and Europe. For this reason, we have a highly specialized team for complex wind project management. On 1 October 2012, EGL became Axpo and EGL Polska became Axpo Polska. With subsidiaries all over Europe, a power plant park that includes more than 100 facilities and vast experience in international energy trading, Axpo is among the most established companies in the energy market. Axpo Trading offers a wide range of services including market analysis, the management of wind power production portfolios, energy trading and CO2. We provide our clients with unique flexibility in developing and implementing individual procurement and marketing strategies in the areas of power and green certificates as well as CO2. With more than 700 employees, BayWa r.e. renewable energy GmbH (BayWa r.e.) is among the leading providers in the renewable energy sector. BayWa r.e. was founded in 2009 and is based in Munich. It acts as a holding company for various business interests in the areas of solar, wind energy, bio-energy and geothermal energy. BayWa r.e.’s business activities range from project development and realisation to PV trade and consulting services. The company covers the entire spectrum of a professional technical plant support service, including maintenance. It can also undertake the commercial operations management of plants. A further aspect of BayWa r.e.’s business is biomethane trading. The company has an international focus with its core markets in Europe and the USA. Castrol is the world leading manufacturer, lubricating oils, greases and related services to automotive, industrial, marine, aviation, oil exploration and production customers across the world. Aviation, industrial, marine and energy lubricants: developed for the business to business community, supplying solutions to the manufacturing, mining, shipping, aviation and oil and exploration industries. At the forefront of pioneering technology with our 7 R&D centers globally, we develop and test hundreds of new products every year. We work closely with leading industry OEMs. We are the first advisory firm on the Polish market which is a part of an international organization but does not combine consulting and auditing services. Crido Taxand is exclusively Taxand Poland. Today we have a team of over 180 people in Poland, advising clients in the fields of tax, obtaining financing from European Union funds (EU grants), law (Crido Legal) and business strategy (Crido Business Consulting). Service of wind turbines from head to toe. Deutsche Windtechnik is an independent service provider in the technical maintenance of wind turbines – on land and at sea. Over 750 employees ensures that the wind turbines operate reliably around the clock, throughout Europe. Whether it is an entire wind turbine, the controlling system, nacelle, rotor or foundation, from large components through the smallest electronic parts up to substations – the experts understand your wind turbine portfolio and provide economical benefits from a service point of view. Deutsche Windtechnik brings together people from different fields of expertise under one roof. The variety of services covers spare parts procurement and repairs as well as full-service contracts, with the focus on Vestas, NEG Micon, Siemens, AN Bonus, Nordex, Senvion, Repower and Fuhrländer. Deutsche Windtechnik provides expertise on single projects and components in the whole wind farms or single wind turbines. DMS is an international transactional-litigation boutique specializing in complex transactions and representation of clients in court procedures as well as in advising on corporate and business matters. The Law Firm advises entities carrying out investment activity as well as offers representation in procedures in front of courts of all instances and administrative bodies. The Firm’s renewable energy practice is led by David DeBenedetti and Michał Szpakowski. Together with a team of zoning, building and energy law experts as well as litigation lawyers specializing in the area of competition (antitrust) law, they advise on various renewable energy projects to a significant number of participants of this sector. The Firm’s clients include Polish and international entities, including large international sector and financial investors. The Firm’s successes in the field of green energy law have gained international recognition (Legal 500 and Corporate International Magazine recommendation). Our primary activity is preparation of the investment concepts, site selection, preparation of projects, obtaining necessary permits and supervising the implementation of wind power units on behalf of foreign and domestic investors. We deal with complex design and implementation of investment projects with a value from a few to several hundred million euros. The company operates on the wind energy market since 2002. Enern Polska Sp. z o.o. Enern Polska Sp. z o.o. with its headquarters in Warsaw is a company operating under the ENeRN investment fund. Enern Fund for the last couple of years has been an active participant on the Polish RES market through the acquisition of projects and their implementation –construction and operation. Currently the investment fund, supporting development of renewable energy in Poland by private foreign capital, has executed the Tolkowiec wind park of installed capacity of 20MW and is building another project with the capacity of 10MW. In the coming years, the investment fund is willing to invest further significant amounts into renewable energy and wind in particular. Enern Polska is a management entity for both mentioned projects and is also involved in shaping the development strategy of the fund in Poland. This strategy includes further acquisitions and construction (eventually operation) of renewable energy sources, also within a newly created legislative and regulatory framework. TERNA ENERGY is a vertically organized Renewable Energy Sources company undertaking the Development, Construction, Financing, and Operation of renewable energy projects (wind, hydro, solar, biomass, waste management). TERNA ENERGY, with a strong pipeline of around 6,000 MW of RES projects in operation, under construction or in an advanced stage of development, has a leading position in Greece, with footprint in Central and South East Europe, as well as in USA. TERNA ENERGY is active in international initiatives to further promote the use of RES. It is also a member of the European Renewable Energy Federation (EREF). The company also participates in the WISE Power project, funded through Intelligent Energy Europe and seeking to foster social acceptance of onshore wind projects by supporting and facilitating effective social engagement, and innovative local financing arrangements. WISE Power has developed an interactive tool for use by developers and any interested stakeholders, which guides users to design, develop and implement an effective social engagement strategy. TERNA ENERGY is an Independent Power Producer, Developer and Operator of Renewable Energy Projects with a capacity that spans from site investigation and assessment of available renewable energy potential, to the design, licensing, construction, as well as the operation, maintenance and commercial exploitation of RES projects. TERNA ENERGY, being a member of GEK TERNA GROUP, enjoys strong synergies from the GROUP’s presence in South East Europe, Middle East and North Africa in construction, concessions, real estate, industrial production, as well as thermoelectric stations and cogeneration units. Moreover, TERNA ENERGY undertakes the construction of energy projects as an EPC Contractor in the Private and Public Works sector. In Poland TERNA ENERGY owns SPVs named “EOLOS” and operates wind projects with total installed capacity 102 MW. Eurocape New Energy Limited is an international renewable energy group, focused on developing, constructing, owning and operating on-shore wind energy projects in the following key EU and East European growth markets: France, Poland, Romania and Ukraine. EuroCape New Energy Poland brings with its projects not only its know-how but a strong commitment to the development of renewable energy in accordance with the Polish public institutions policy objectives. EuroCape Poland is today developing a pipeline of over 600MW of projects ranging from green field sites to mature projects which will be ready for the auctions starting in 2016. EuroCape is also working as a partner and adviser for the construction of around 200MW in Poland. Eurus Energy Holdings, owned jointly by Toyota Tsusho Corporation and Tokyo Electric Power Company, is a global developer, owner and operator of renewable energy facilities, including both wind and solar, with more than 2,400 MW of installed capacity worldwide. 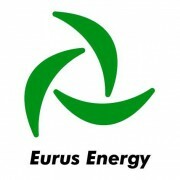 Eurus Energy Europe is the wholly-owned subsidiary of Tokyo-based Eurus Energy Holdings and is responsible for European renewable energy investments. It now operates projects in the UK, Spain, Italy and Norway with a total installed capacity of 865 MW. Elawan Energy Polska Sp. z o.o. Gestamp Wind is part of a European Multinational of Corporación Gestamp – leader in Steel Services, Automotive Components, and Renewable Clean Energy. Gestamp Wind develops, constructs and operates wind farms in the world’s leading wind energy markets. Gestamp Wind is focused on developing, constructing, and operating its own wind farms throughout the world, with the goal of becoming a significant player of the wind energy sector over the next few years. To date, Gestamp Wind has participated in the development, construction, maintenance and operation of wind farms with a capacity of over 680MW. We rely on a workforce of highly skilled professionals throughout 10 different countries: Spain, Poland, Romania, Bulgaria, Turkey, Belgium, South Africa, U.S.A., Puerto Rico and Brazil. Green Bear Corporation Poland Sp. z o.o. Green Bear is a player in the renewable energy market with a core business of acquiring, developing & operating wind energy projects in Poland. We supervise the construction of wind farms at all development stages – from finding suitable locations, through research and obtaining administrative permits to constructing the actual power plant. Our mission is to develop a power industry based on clean energy, which is also cheap to use and environmentally-friendly. The Green Bear Group was established in January 2007. It comprises a few special-purpose companies devoted to individual projects. The main company which manages the Polish operations is Green Bear Corporation Poland Sp. z o.o. 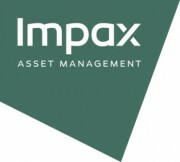 Impax Asset Management is an award winning, leading investment manager dedicated to investing in the opportunities created by the scarcity of natural resources and the growing demand for cleaner, more efficient products and services, through both listed and private equity strategies. We manage c. US$4.2 billion* (£2.5 billion) for institutional and high net worth investors globally, and are committed to providing strong long-term risk-adjusted returns. Our investment team numbers 28 professionals, with an average of 20 years relevant experience. Impax’s listed equity funds seek out mis-priced companies that are set to benefit from the long-term trends of changing demographics, urbanisation, rising consumption, and the resultant increases in resource scarcity. Investment is focused on a small number of deeply researched global equity strategies across alternative energy, energy efficiency, water, waste, food and agriculture related markets. Impax’s private equity infrastructure funds follow an operationally focused, value-add strategy, investing in renewable power generation and related assets throughout Europe. We are a thought leader in defining the markets in which we invest, for example through a partnership with FTSE to develop and manage the classification system underpinning the FTSE Environmental Markets Index Series. K2 Management A/S offers global independent consultancy services to wind developers, utilities and investors within the entire value chain. Lazzari&Lucchini Srl operates in the production and marketing of electricity from renewable sources. L&L Srl works throughout Italy and designs and builds “turnkey” renewable energy plants. L&L is also involved in the reactivation, management and operation of renewable energy plants. LM Wind Power Blades Poland Sp. z o.o. LM Wind Power is the world’s leading independent supplier of blades for wind turbines and the only supplier that operates on a global basis. Achieving this strong position is the result of our constant focus on research, product development, quality and expansion of our global footprint. LM Wind Power operates in all the main wind energy markets with extensive production capacity in Asia, North America and Europe including a global network of R&D Centers of Excellence. This enables our customers to provide rapid, efficient delivery of wind turbines to projects anywhere in the world. One in three wind turbines currently in operation are fitted with LM Wind Power blades. Working in close collaboration with our customers, we design and supply rotor solutions for wind turbine projects all over the world. At the end of 2009 we have produced more than 130,000 blades corresponding to a capacity of more than 42 GW – saving the environment from more than 79 million tons of CO2 each year. Marsh is a global leader in insurance broking and risk management. We help clients better quantify and manage risk to survive and thrive. In more than 130 countries, our experts in every facet of risk and across industries help clients to anticipate, quantify, and more fully understand the range of risks they face. We work with clients of all sizes to define, design, and deliver innovative solutions to better quantify and manage risk. To every client interaction we bring an unmatched combination of deep intellectual capital, industry-specific expertise, global experience, and collaboration. We offer risk management, risk consulting, insurance broking, alternative risk financing, and insurance program management services to businesses, government entities, organizations, and individuals around the world. Our more than 27,000 colleagues work on behalf of our clients, who are enterprises of all sizes in every industry, and include individuals, multinational organizations, and government entities worldwide. We are a wholly owned subsidiary of Marsh & McLennan Companies (NYSE: MMC), a global professional services firm offering clients advice and solutions in the areas of risk, strategy, and people. With 57,000 colleagues worldwide and annual revenue exceeding $13 billion (as of Dec. 31, 2014), Marsh & McLennan Companies also include global leaders Guy Carpenter, Mercer, and Oliver Wyman. MHI Vestas Offshore and its subsidiaries are engaged in the business of developing, manufacturing, supplying and servicing offshore wind turbine generators and auxiliary products and services worldwide. Nordex is one of the leaders in multi-megawatt wind power systems. The product range of Generation Gamma and Generation Delta comprise turbines for strong, medium and light wind sites. Solution-driven innovations, a dense service network, preventive maintenance and end-to-end modernization are also part of the company’s offer. Nordex has installed a total of around 6,900 turbines with an aggregate capacity of more than 12,000 MW all around the world. Novenergia Poland Sp. z o.o. Novenergia Poland Sp. z o.o. belongs to a group of companies that are part of an investment fund Novenergia II – Energy & Environment with private equity of € 450 million (SICAR with its registered office in Luxembourg) involved in the promotion of renewable energy sources throughout Europe. Founded in 2001, the Fund develops wind and photovoltaic projects in Portugal, Italy, Bulgaria, Spain, France, Hungary, Poland, and Romania. In Poland, the company coordinates a project of a wind farm in Głuchów located in Łódzkie Voivodship with a total capacity of 40 MW. The farm will be implemented in two phases in 20 MW each. The company intends to acquire wind projects totalling 150 MW in the near future until 2015. Nowotna Farma Wiatrowa Sp. z o.o. Pexapark is a Swiss fintech that offers renewable investors a platform to help them sell their energy. An all-in-one solution that helps clients structure their power sales, complete PPA (power purchase agreement) transactions and monitor their energy risks. PEXA®Connect, what they affectionally refer to as the “Bloomberg of Renewables”, aims to become the first renewable energy trading platform. Potegowo Winergy Sp. z o.o. Winergy is a joint venture between CERAC (http://www.cerac.eu/), a group of highly-experienced, dedicated local energy professionals active in Poland since 2009 , and Israel Infrastructure Fund II (IIF II) (http://www.iif.co.il), international project finance and debt structure specialists – pooling their knowledge base, extensive experience in project financing, last mile preparation and project management to build a top tier independent wind energy company in Poland. Winergy has a current operating capacity of 20MW, 37.5MW under construction and additional Pipeline of more than 320MW. Winergy has developed strong relationships with the major construction companies, turbine suppliers, legal firms and financial institutions operating in the Polish market. Winergy’s engineering department consists of former top utility executives utilizing their years of experience and network for the benefit of each project. Prokon New Energy Poland is a part of a Prokon Regenerative Energien eG group, that has a 20-years-experience in wind energy market. 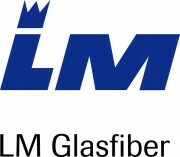 The company in Poland have been established in 2007, the seat of the company is located in Gdansk. Our field of activity is planning, building, maintaining and servicing of wind parks. In Germany Prokon runs 280 wind turbines with the total capacity of 461 MW, in Poland 38 turbines with capacity of 76 MW. Another wind farm with capacity of 14 MW will be launched till the end of 2015. Our portfolio includes also over twenty project with different development level. Rønne Havn A/S is a large commercial port with superb location and great potential on Bornholm in the entrance to the Baltic Sea focusing on offshore wind and maritime services . A large variety of services and modern facilities are available 24/7/365. Senvion Polska Sp. z o.o. Senvion SE, a Suzlon group company, is one of the leading international manufacturers of onshore and offshore wind turbines. All across the globe, the engineering company is developing, constructing and distributing wind turbines for almost every location. The power ratings of our turbines range from 1.8 up to 6.15 MW with rotor diameters between 82 and 152 meters. Furthermore Senvion provides clients with project-specific solutions in the areas of wind farm engineering, service and maintenance, transport and installation as well as foundation. With more than 3,300 employees worldwide Senvion can draw on the profound experience of having constructed and installed over 5,000 wind turbines. SCADA International has since its foundation in 2006, grown to be a leading solution provider within the global wind industry. With an extensive track record and Danish wind heritage, our services span the entire value chain: SCADA systems, SCADA application solutions, Park Network Solutions and Energy Power Control. SCADA International employs wind and SCADA specialists in Denmark (HQ), Germany, Poland, Ukraine, United Kingdom and USA, and certified according to ISO 9001, ISO 14001 and OHSAS 18001. Sea Wind Polska Sp. z o.o. 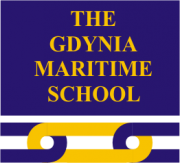 Sea Wind Polska was founded mid 2018 as a project development and management company in Poland as part of the Sea Wind Group. Sea Wind Holding AG (SWH AG) in Vaduz, Liechtenstein is a successful investment company focusing on offshore wind energy (OWE) projects in the North and Baltic Sea (e.g., Baltic Eagle OWE project). SWH AG is the 100% shareholder of Sea Wind Management GmbH (SWM) in Hamburg, Germany employing a top-class specialists team responsible for the entire investment process, starting from obtaining permits up to the phase of project’s readiness for implementation. Sea Wind Polska Sp. z o. o. with its office in Gdynia benefits from the experience of SWM. The growing Polish team of specialized personnel with great experience in the development of OWE projects for the Polish Baltic Sea, is responsible for all stages in the OWE development phase until obtaining building permits and preparation of the implementation process. 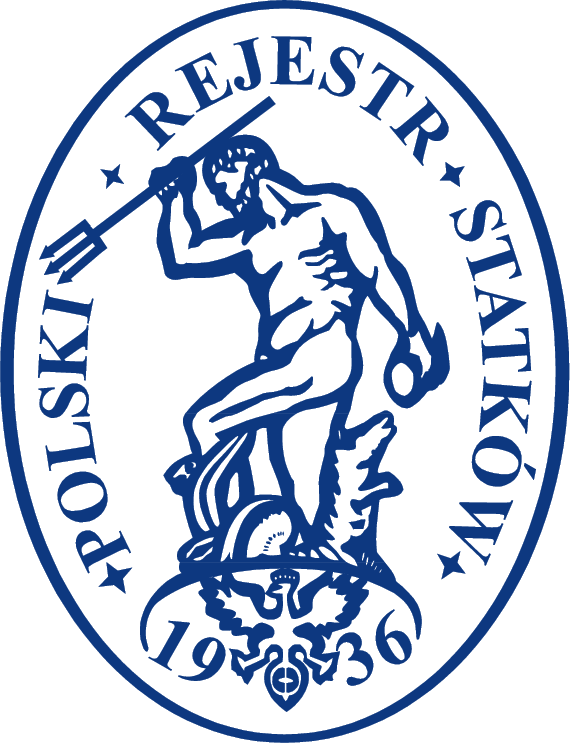 SSW Spaczyński, Szczepaniak i Wspólnicy is a leading Polish law firm which provides comprehensive legal, tax and business advice to entrepreneurs from every sector of the economy. Thanks to its participation in the TAGLaw Network, an association of independent law firms, Spaczyński, Szczepaniak i Wspólnicy is able to provide its clients advise by lawyers in 150 offices in over 85 countries around the world. For many years, both the firm and its individual lawyers have been highly ranked and consistently recognized by international legal directories such as Chambers and Partners, The Legal 500 and IFLR1000. Statkraft is a leading company in hydropower internationally and Europe’s largest generator of renewable energy. The Group produces hydropower, wind power, solar power, gas-fired power and supplies district heating. Statkraft is a global company in energy market operations. Statkraft has 3500 employees in 16 countries. Statkraft had in 2017 power generation of 62.6 TWh on 19.1 GW of capacity as well as 1.1 TWh in district heating on 0.8 GW of capacity – totally yielding an EBITDA of NOK 14.4 billion. Statkraft is playing a leading role in the transition to a low-carbon future and the increased electrification of societies. We are committed to develop and manage green, smart and profitable energy solutions. Statkraft combines insight in power markets and expertise in operations and maintenance, with a unique energy portfolio that creates value for our owner and the societies we operate in. Through our operations we are powering a green future. Statkraft’s ambition is to become a leading developer of profitable onshore wind and solar projects. This means taking on a significantly larger number of projects, and introducing a build-sell-operate logic. Statkraft develops the projects, including finding route to market and thereafter sells stakes in it. ST³ Offshore is a leading European manufacturer of steel foundations for offshore windfarms. The Group TELE-FONIKA Kable S.A. (TF Kable) is ranked in the forefront of the global cable industry, the Group is the third manufacturer of cables and wires in Europe with significant development potential, based entirely on Polish capital. Products manufactured in our plants are sold in over 90 countries. Our product assortment includes 25 thousand of cable types. The company combines the good traditions of the cable industry in Poland and innovative technical solutions. The Group TELE-FONIKA Kable currently consists of 8 commercial companies responsible for distribution of our products throughout the world, 6 production facilities (four located in Poland, one in Serbia and one in Ukraine) and the Waste Cable Recycling Plant located in Bukowno (Poland). 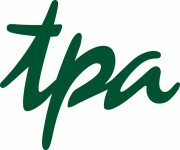 TPA Horwath Sztuba Kaczmarek Sp. z o.o. UL works to help renewable energy manufacturers, developers, owners, investors, lenders, utilities and policy makers navigate the risk and complexity associated with renewable resources. We have become a trusted advisor by providing access to proven science and expert engineering, and by offering innovative solutions to meet the unique challenges of the renewable energy industry. We pride ourselves on being accessible, flexible and keenly responsive to the needs of our clients. UL now delivers an even more extensive portfolio of renewable energy services, through the acquisitions of AWS Truepower (2016) and DEWI (2012). With offices in over 140 countries, a team of over 500 experts and 35 years of experience, we advise on wind and solar projects, as well as battery and energy storage technologies, helping our clients make them safer, compliant, and perform to the highest standards. Our goal is to empower trust in renewable energy throughout the project lifecycle and across the supply chain. WindSpace is an experienced developer of wind park projects. Based on our expertise and professional network we are able to provide projects with a minimum of risk with respect to the project development and construction phase. We place high demands to our self and our partners, seeking reliability, expertise and accountability. We act conservatively with a high degree of thorough in every process. These values create the best partnerships, generate results and provide the flexibility required to realize attractive renewable energy investment projects to the benefit of our customers. Our key markets are Poland and Sweden. WindSpace has initiated and fully realized three wind park projects in Poland. Current investment projects under development in Poland and Sweden range from 6MW to 100MW in capacity.